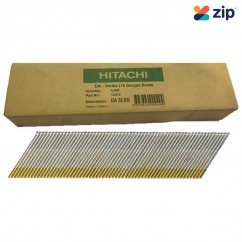 Hitachi Koki Co. Ltd. has been an independent member of the broadly diversified Hitachi group since 1948. 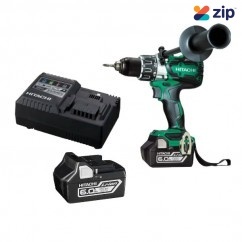 It's position as a specialist power tool company within a large industrial group brings important benefits to customers who receive immediate access to the latest advancements in metallurgy, motor design and electronics. 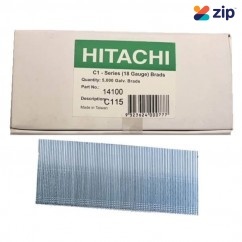 All products are manufactured with high standards of quality in design, material and workmanship, and through constant innovation to enable jobs to be safer, easier and less tiring. 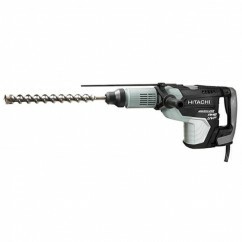 Hitachi Power Tools consistently offer high levels of quality, durability, operability and performance for all users. 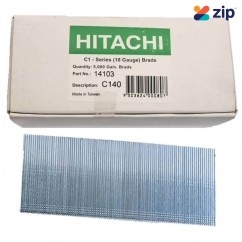 Components are thoroughly tested at assembly lines to ensure optimum performance, and each finished product is carefully examined to assure Hitachi's standard quality. 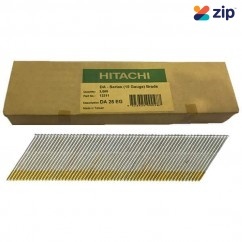 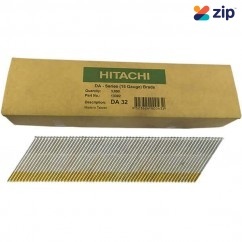 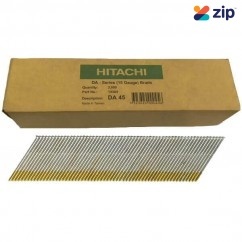 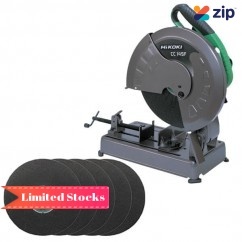 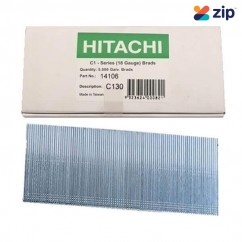 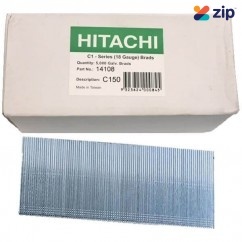 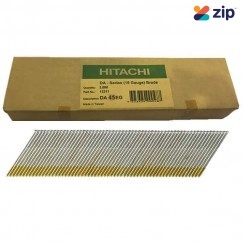 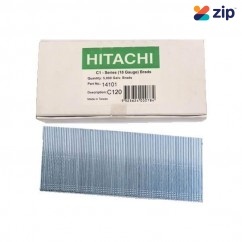 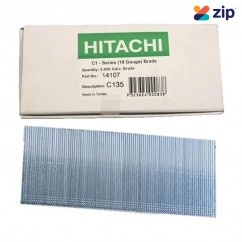 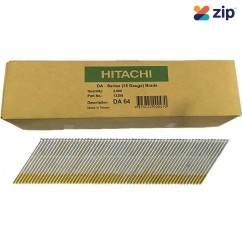 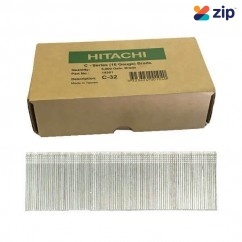 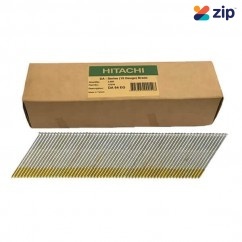 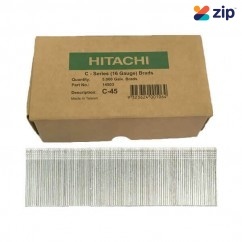 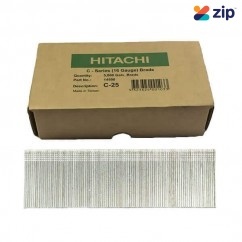 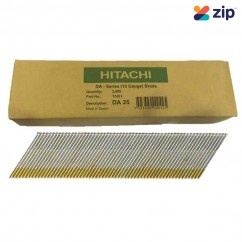 Hitachi C115 – 15mm 18 Gauge C1 Series Electro Galvanised Nails Pack of 5000 18 Gauge C..
Hitachi C120 - 20mm 18 Gauge C1 Series Electro Galvanised Nails Pack of 5000 18 Gauge C..
Hitachi C130 - 30mm 18 Gauge C1 Series Electro Galvanised Nails Pack of 5000 18 Gauge C..
Hitachi C135 - 35mm 18 Gauge C1 Series Electro Galvanised Nails Pack of 5000 18 Gauge C..
Hitachi C140 - 40mm 18 Gauge C1 Series Electro Galvanised Nails Pack of 5000 18 Gauge C..
Hitachi C150 - 50mm 18 Gauge C1 Series Electro Galvanised Nails Pack of 5000 18 Gauge C..
Hitachi C25 - 25mm C-Series 16 Gauge Electro Galvanised Finish Nails Pack of 5000 Part N..
Hitachi C32 - 32mm C-Series 16 Gauge Electro Galvanised Finish Nails Pack of 5000 Part Number ..
Hitachi C45 - 45mm C-Series 16 Gauge Electro Galvanised Finish Nails Pack of 5000 Part Number:..
Hitachi DA25EG - 25mm DA Series 15 Gauge Electro Galvanised Finish Nails Pack of 3000 15 Gauge..
Hitachi DA25EPB - 25mm DA-Series 15 Gauge Bright Finish Nails Pack of 3000 Part Number: 13301 ..
Hitachi DA32EG - 32mm DA Series 15 Gauge Electro Galvanised Finish Nails Pack of 3000 15 Gauge..
Hitachi DA32EPB - 32mm DA-Series 15 Gauge Bright Finish Nails Pack of 3000 Part Number: 13302 ..
Hitachi DA45EG - 45mm DA Series 15 Gauge Electro Galvanised Finish Nails Pack of 3000 15 Gauge..
Hitachi DA45EPB - 45mm DA-Series 15 Gauge Bright Finish Nails Pack of 3000 Part Number: ..
Hitachi DA64EG - 64mm DA Series 15 Gauge Electro Galvanised Finish Nails Pack of 3000 15 Gauge..
Hitachi DA64EPB - 64mm DA-Series 15 Gauge Bright Finish Nails Pack of 3000 Part Number: 13308 ..